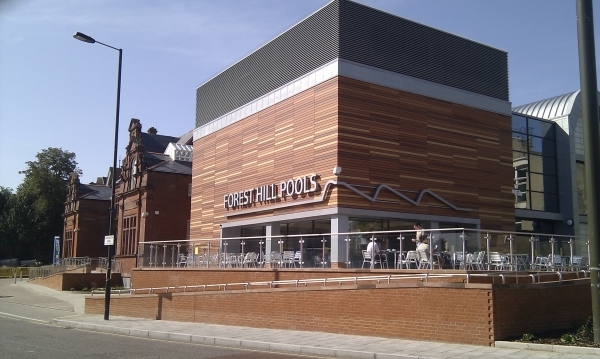 We are pleased to report that Mayor Steve Bullock has taken the decision to put the extra money into swimming in Forest Hill. We are now on track to have swimming on the Dartmouth Road site before the 2012 Olympics. The frontage will be retained with a great two pool leisure centre behind. The Mayor admitted at the meeting that there could have been significant planning problems in building a new leisure centre on Willow Way, a fact that was never mentioned during the consultation. He felt that the additional cost of a pool on the existing site was worth the expenditure compared with the risk of a development on Willow Way being delayed by planning problems. It was also mentioned that if funds were not committed now, a new leisure centre might never be built – public expenditure cuts in the future were a near certainty. The design is expected to be based on that drawn up by Allies and Morrison and first shown to stakeholders in February this year. A copy of the relevant pictures from the stakeholder presentation is attached. This design really impressed the stakeholders when it was first revealed and it was a major disappointment when it was then revealed that it was unaffordable. Whilst making the decision, the Mayor agreed to extend the time that the Council would wait for funded proposals from the community for a civic use for Louise House beyond the previous date of November 2009. He also instructed Council Officers to provide some assistance in preparing such proposals. With the Library and Pools site in Civic use, it would be a real shame for Louise House, the building in between, to be converted into housing which has been the Council’s intention. A major effort to develop proposals for Louise House is expected to be the next focus for local community groups now the Pools battle has been won. The Mayor also said that he had been impressed by the Forest Hill Society proposals that live / work units should be built on the Willow Way site and he instructed the Council’s planners to consider such a use for the site along with any other proposals that might come forward. Any revenues from such a development would offset the additional cost of the new pools on Dartmouth Road. At the moment, the Council is effectively putting a value of zero on the Willow Way site but the Forest Hill Society’s advisors feel that a value of £1.5m is realistic. 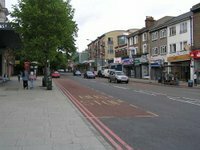 This is the best possible result for Forest Hill town centre and for the people of Forest Hill. This has been a hard fought campaign by the Forest Hill Society and other local groups including Keep Swimming in Forest Hill, Sydenham Society, Tewkesbury Lodge Estate Residents Association, and local councillors. Particular thanks to Hilary, Penelope, Jeff, Quetta, and Michael from the Forest Hill Society committee who have put a huge amount of effort to getting this result. Without their hard work and dedication it is likely the outcome could have been very different. I think this is a really great result. Well done to everyone involved.